The handles of the scalpel and dissecting needle are made of a dark wood. The forceps is of iron or steel. 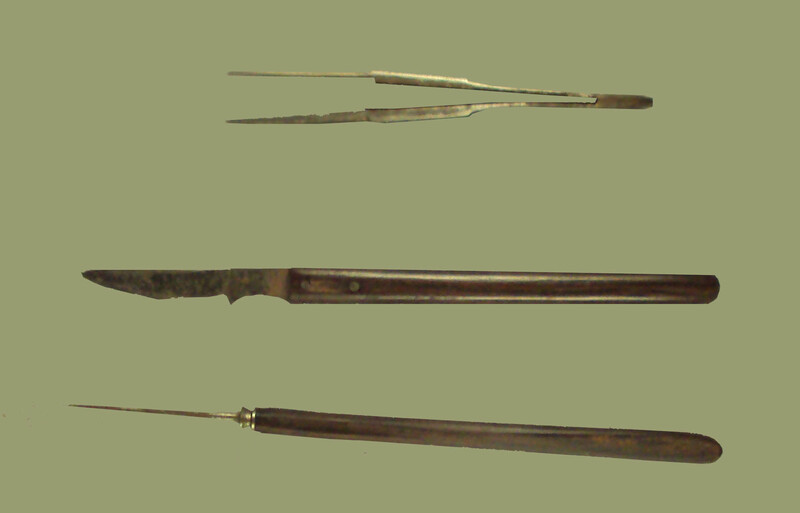 The original dissecting instruments also included a small scissor, no longer present.